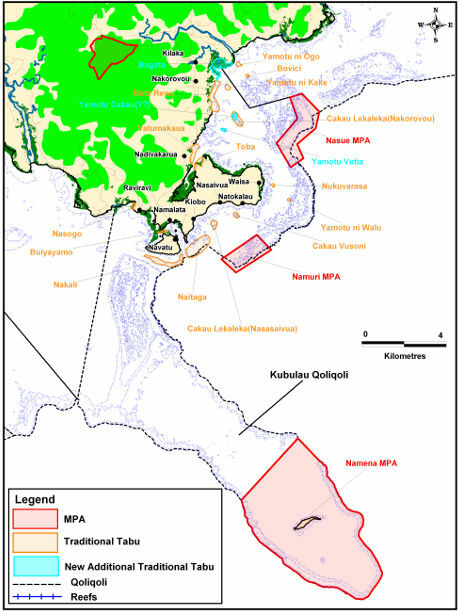 Namena Marine Reserve is a 70 sq km marine reserve surrounding Namenalala Island. Fishing in the reserve is prohibited, but it is a hot spot for dive tourism. In a study of the no-take reserve’s shark populations, the researchers found that the number of sharks in Namena Reserve—located on the southern coast of Fiji’s Vanua Levu Island—is two to four times greater than in adjacent areas where fishing is permitted.